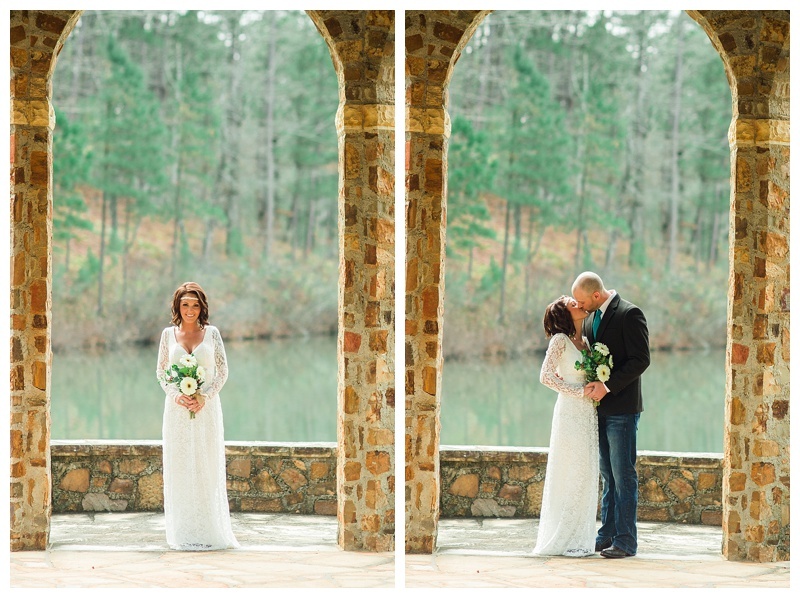 My lovely sister got married on 12/13/14 of this year in the gazebo at Wildwood Park in Little Rock, Arkansas. It was a very simple, romantic and intimate ceremony with only close family and friends in attendance. We hired another photographer to shoot the wedding since I wanted to be able to enjoy the ceremony but I couldn't resist snapping a few images. My mom made her gorgeous dress and didn't even use a pattern. She searched and searched for something that would fit both her budget as well as her style but couldn't find something that she liked. She asked mom and she was happy to help. 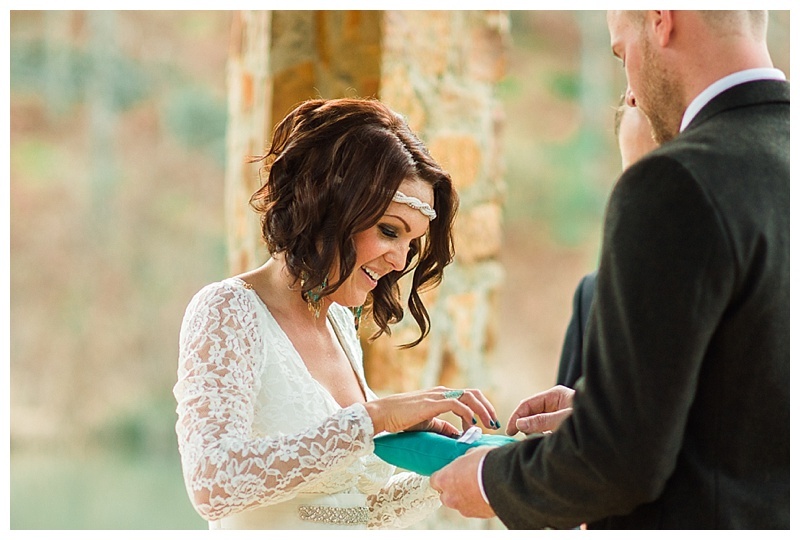 It made it all that much more special because she was wearing something that was made with so much love. Paxton was so well behaved all day. They're potty training him so he stayed naked all morning but then paraded around in his cute little dress shirt. He got ahold of the rings and put them on his fingers and his toes. It was so sweet. There were concerns that Paxton wouldn't cooperate during the ceremony. He proved everyone wrong! He just stared at everyone and stood close to them the whole time. It was the sweetest little thing. He even handed them the pillow that had the rings! We all joked about who would go into the water first if Pax decided to explore beyond the gazebo. Thank goodness, that wasn't necessary.